Georgian Paving & Construction started this project in May 2007 and were complete by August of that same year. We were working for GAIA and answered specifically to Toivo Pallop. We were constructing both the Compost Pad and Cell 3A simultaneously. This called for attention to detail when it came to scheduling men and equipment because there was a tight schedule for both projects. 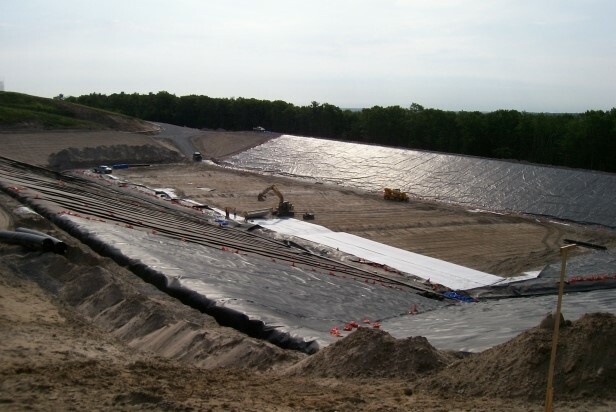 Although we did not have contracts with Terrafix for the lining material or Fowler for the stone, we were required to work very close with them as if they were our supplier. It is my belief that both GAIA and the City of Barrie were pleased with our performance on this contract. We had weekly safety talks on appropriate subjects and always operated in strict accordance with the OHSA and the MOE regulations and guidelines. 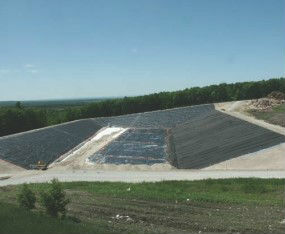 We have constructed other liners such as the Simcoe Landfill in Baxter, but obviously this one is the project to highlight.